ON PAPER, THE new Note 9 mightn’t seem all that different to its predecessor, 2017’s Galaxy Note 8. Look beneath the surface, however, and you’ll find a smartphone that has addressed almost every issue that last year’s model had (although the Bixby button is unfortunately still here, just waiting to be pressed accidentally — more on that later) to become the best smartphone that money can buy right now. 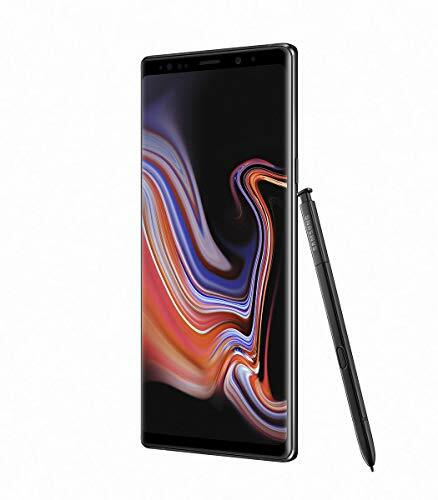 Premium in every sense of the word, the Galaxy Note 9’s design screams sophistication, even when it’s being cheeky (the Ocean Blue colour variant’s striking yellow S Pen can attest to that). Like previous handsets in the business-minded line, the Note 9 has sharper, more squared comers than its cousin, the Galaxy S9, giving the device a more refined look in general. On the back, you’ll find the same slim dual camera and flash setup found on the S9, only in typical Note fashion, it’s been placed horizontally. Also like the S9, this year’s Note has placed its fingerprint scanner below the camera, making it easier to reach (which is very welcome on a phone as large as this) and harder for wandering fingers to accidentally smudge the lens. Perhaps the most impressive thing about the Galaxy Note 9’s design is that Samsung’s listened to its customers and has continued to resist current (and, you could argue, misguided) smartphone trends, such as screens with notch cutouts and the abandoning of headphone jacks and microSD slots. We’d much rather Samsung keeps striving to perfect the things that made it the top smartphone brand in the world in the first place. If there’s any downside to the Galaxy Note 9’s design, it’s the aforementioned Bixby button, which you’re practically guaranteed to press by accident at least several times per day. Unlike with the Note 8 and S9+, there’s no slider here that will allow you to switch off the button entirely, meaning you’ll either have to get used to Samsung’s virtual assistant or find a third party app that will disable it — a far from ideal solution, given the number of permissions you have to provide those apps in order for them to work. 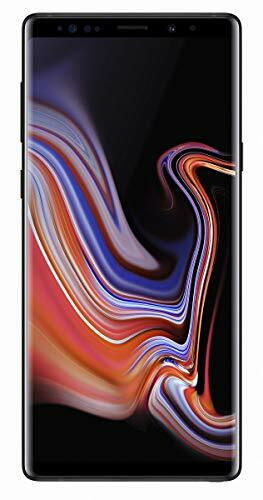 While there was little room for improvement over the Note 8 and Galaxy S9+ in the screen department, Samsung has managed to top itself once again by producing a record breaking display for the Note 9 — one that’s already been named the best of its kind by the world’s foremost authority on display technologies. 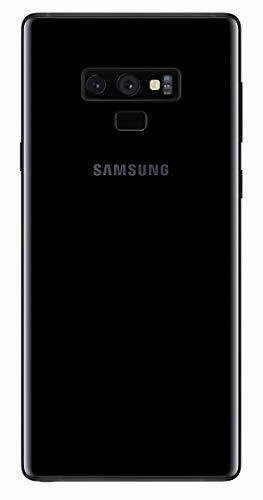 Its Super AMOLED QHD+ display is exceptionally bright and vibrant, with inky blacks and beautiful curved edges that give the appearance of non-existent side bezels. 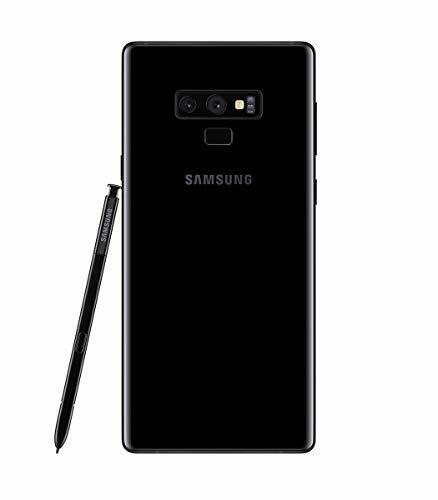 If you look very closely, you’ll also notice that the Note 9 is slightly wider and shorter than its predecessor — combined with a small reduction in bezel size, that gives the handset a 0.1-inch bigger display (diagonally) than last year’s model, bringing the total to 6.4 inches. Android 8.0; 6.4-inch Super AMOLED @1,440×2,960 (516 ppi); Exynos 9810 Octa CPU; Mali-G72 MP18 GPU; 6GB or 8GB RAM; 128GB or 512GB internal storage; microSD support up to 512GB; dual 12MP rear cameras & 8MP front camera; 802.11 a/b/g/n/ac Wi-Fi; USB Type-C (3.1 compatible); Bluetooth 5.0; 161.9 x 76.4 x 8.8mm; 4,000mAh battery; IP68 certification; 201g. 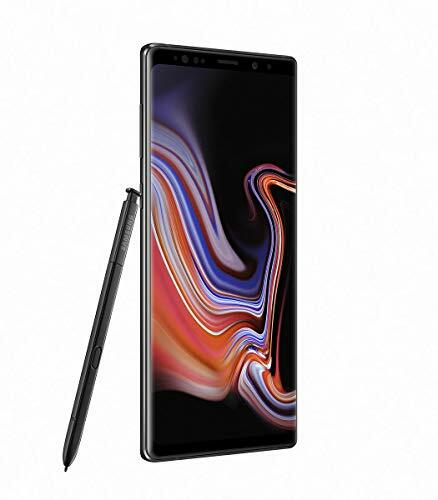 THE NOTE 9 IS AN ABSOLUTE POWERHOUSE, WITH ITS EXYNOS 9810 CHIPSET AND 6GB OF RAM OFFERING SNAPPY PERFORMANCE AT ALL TIMES. While the Note 9’s camera is almost identical to that of the Galaxy S9+, that’s no bad thing — users can record super slow motion video (up to 960 fps at 720p resolution), and were pleased to find that phone’s variable aperture functionality has also made it over to the Note 9, allowing for the camera’s iris to automatically adjust itself depending on how much light you have access to. Like the Huawei P20 Pro and LG G7 ThinQ before it, the Galaxy Note 9 employs an AI-powered scene optimiser that automatically adjusts your camera’s colour settings for (what it thinks is) the best possible result. Whether it actually does make your photos better is debatable, though the option to disable that mode is available for those who want more control over their snapshots. The biggest new camera-based feature, however, can be attributed to the Note 9’s new S Pen, which now boasts Bluetooth functionality, allowing you to use the stylus as a long-range self-timer. Thanks to its large 4,000mAh battery — the largest Samsung has ever placed in a phone — the Note 9 has addressed one of its predecessor’s biggest drawbacks, as despite being one of the biggest phones on the market, the Note 8’s battery was only 3,300mAh. Given the brightness of its display and the power of its internals, the Galaxy Note 9’s longer battery life (just under 9 hours of heavy usage) is more than welcome. 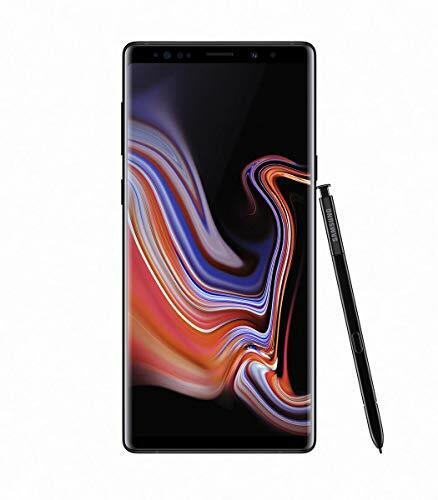 Speaking of its internals, the Note 9 is an absolute powerhouse, with its Exynos 9810 chipset and 6GB of RAM offering snappy performance at all times. Its single and multi-core benchmark scored a whopping 3734/9056, putting it ahead of every other Android flagship that’s readily available in Australia. That said, its 3DMark graphical scores place the Note 9 just below the recently- released LG G7 ThinQ. The 512GB model is backed by an additional 2GB of RAM (8GB in total), which should allow for even better performance in DeX mode (which no longer requires an additional dock thanks to the inclusion of a new Water Carbon cooling system) and for Fortnite to run especially smoothly on the device. Add them all up and what you get is a smartphone that’s capable of incredible performance, that boasts the best screen in the world and which also offers the most storage of any handset. The fact it also doubles as a super portable PC when connected to a monitor or television is also a huge potential bonus for those who like to get their work done on the go. 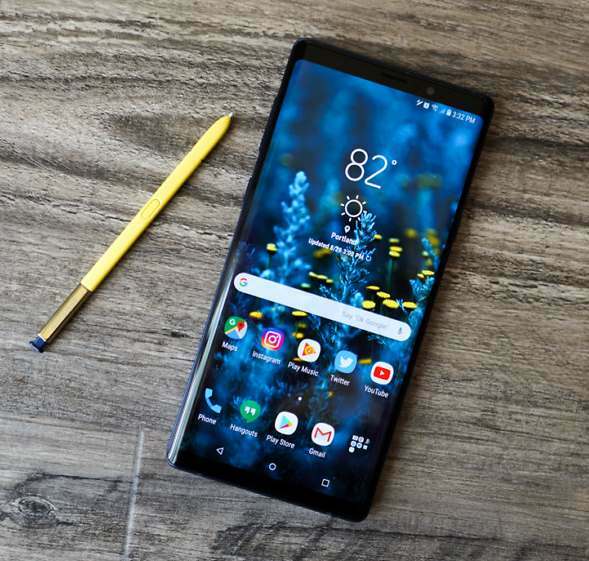 In short, the Samsung Galaxy Note 9 is the kind of smartphone that all others should be striving to match.